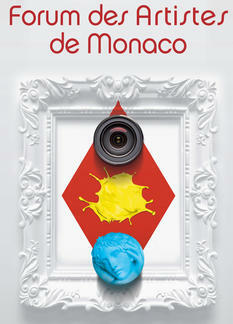 This weekend in Monaco is about art. So just a few tips here for you to know where you can meet the eternal beauty created by artists and performers. From 8 to 17 June 2018, the Department of Cultural Affairs is organising the fourth Monaco Artists’ Forum at the Rainier III Auditorium. The Forum is an exhibition featuring artists who are Monegasque nationals or who have been resident in the Principality for more than five years. It will be open to the public, free of charge, every day between 2 pm and 7 pm. The Forum is an exhibition of Monegasque art and sculpture and is a wonderful platform for visual artists who are Monegasque nationals or who have been a resident in the Principality for more than five years. Open to the public each day between 2 and 7 pm, and a «Public Prize» will be announced at the culmination of the event. The artist who receives this award will be allowed to continue to display their work at the Rainier III Auditorium. The Monaco Artists’ Forum is part of the desire of the Prince’s Government to promote visual arts within the Principality, to highlight the vitality of local artistic creation in the field of visual arts and as a matter of cultural policy, to integrate and leverage the efforts of all Monegasque artists for the benefit of everyone. 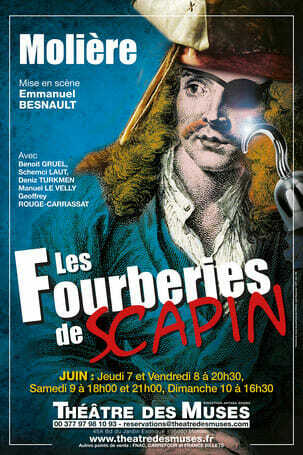 In the theater this weekend is “Scapin the Schemer” (“Les fourberies de Scapin”), classic theatre by Molière with Benoit Gruel, Schemci Laut, Geoffrey Rouge-Carrassat, Deniz Turkmen and Manuel Le Velly on Friday 8 June, at 8.30 pm, Saturday 9 June, at 9 pm and Sunday 10 June, at 2.30 pm and 5 pm in Théâtre des Muses. “But what the hell was he going to do in this galley?” In a furious rhythm, a troupe of five actors, musicians and singers seizes one of the funniest comedies of Molière, revisited in music in the spirit of trestle theater and commedia dell’arte. Two friends, Octave and Léandre, each married a young woman of unknown birth, whom they fell madly in love with. But without the consent of the two fathers, Argante and Geronte, have marriage plans for their children! The sons think they are lost and do not know what to do. Fortunately, Scapin, a clever and generous valet, is there to make youth and love triumph. Tickets are between 17 and 28 euros.